Super Short Monday? 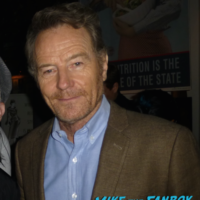 Scotty Is A Sneaky Pete After Meeting Bryan Cranston! Margo Martindale! Autographs! And More! 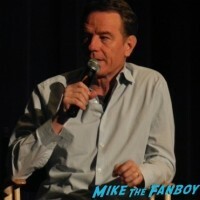 Super Short Sunday – Bryan Cranston & Margo Martindale May 7, 2017 By: Scott I was recently very lucky to attend the “For Your Consideration” event for the series “Sneaky Pete.” While at the event I was so excited to meet Bryan Cranston and Margo Martindale. Sneaky Pete FYC Panel! 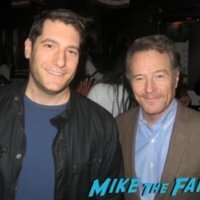 Meeting Bryan Cranston! Getting Plowed Down By Giovanni Ribisi! And More! 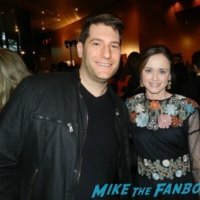 mike May 7, 2017 Fanboying! The Contenders Event! Meeting The Cast Of Black-ish! Casual! Bryan Cranston! Aaron Paul! Alexis Bledel! Elisabeth Moss! And More! mike April 10, 2017 Fanboying! 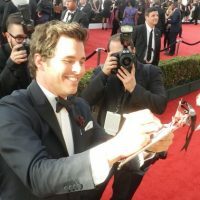 Fanboying The 2017 SAG Awards! Bryan Cranston! Nicole Kidman! Emily Blunt! Thandie Newton! Viggo Mortensen! Casey Affleck! And More! Fanboy Fail Friday! Why Him? 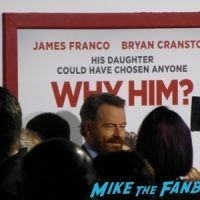 Scotty Heads To A Q and A With The Cast But Misses Bryan Cranston And The Cast! Doh! Fanboy Fail Friday! Getting a Very Nice Brush Off From Heisenberg Himself Mr. Bryan Cranston And Helen Mirren! Doh! mike March 4, 2016 Fanboy Fail Fridays! Super Short Sunday! Better Call Saul Premiere! Bob Odenkirk! Bryan Cranston! Michael McKean! Jonathan Banks! And More! 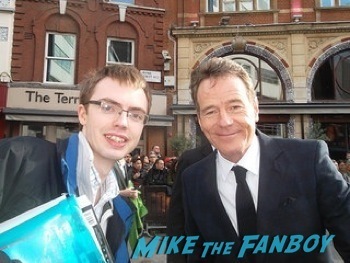 James Meets Bryan Cranston! Aaron Taylor Johnson! Elizabeth Olsen! And More! Autograph Goodness! Godzilla Movie Premiere! Elizabeth Olsen! Aaron Taylor-Johnson! Ken Watanabe! 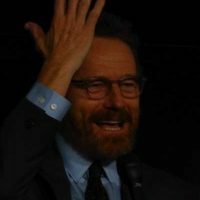 And Bryan Cranston Disses! Doh! Autographs! And More! Bryan Cranston! 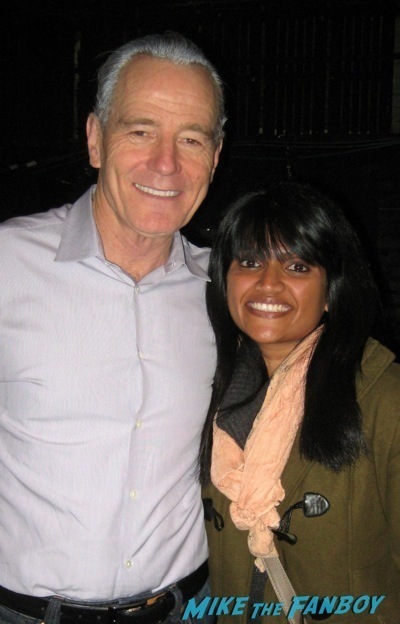 Anushika Meets The Breaking Bad Star After His Play In New York! Autographs! And More!